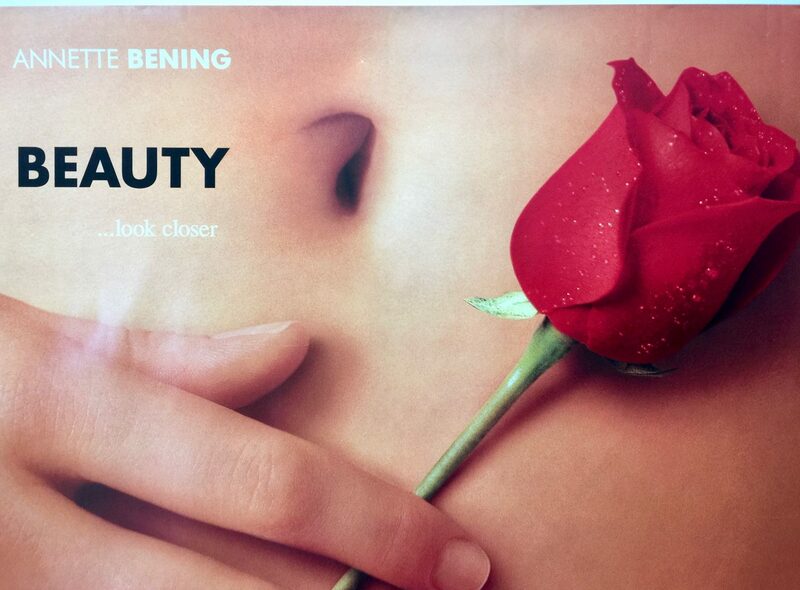 American Beauty is a 1999 film directed by Sam Mendes. It was co-produced by Bruce Cohen and Dan Jinks with Alan Ball writing the screenplay. The film stars Kevin Spacey, Annette Bening, Thora Birch, Allison Janney, Peter Gallagher, Mena Suvari, Wes Bentley and Chris Cooper. The storyline follows Lester Burnham, a 42-year-old advertising executive who has a midlife crisis when he becomes infatuated with his teenage daughter’s best friend, Angela. 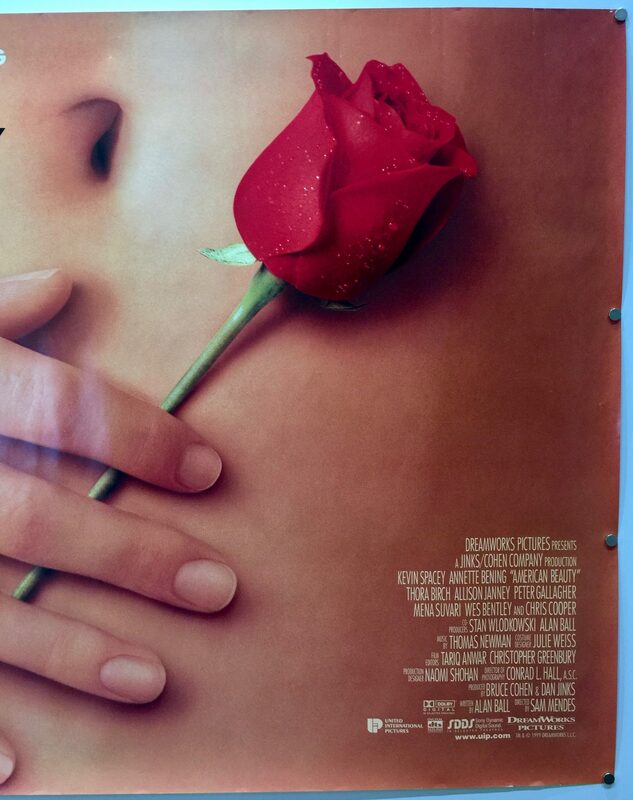 Alan Ball had intended for the story for American Beauty to be a stage play and began writing it in the early 1990s. He was inspired by the media circus surrounding the Amy Fisher trial in 1992. 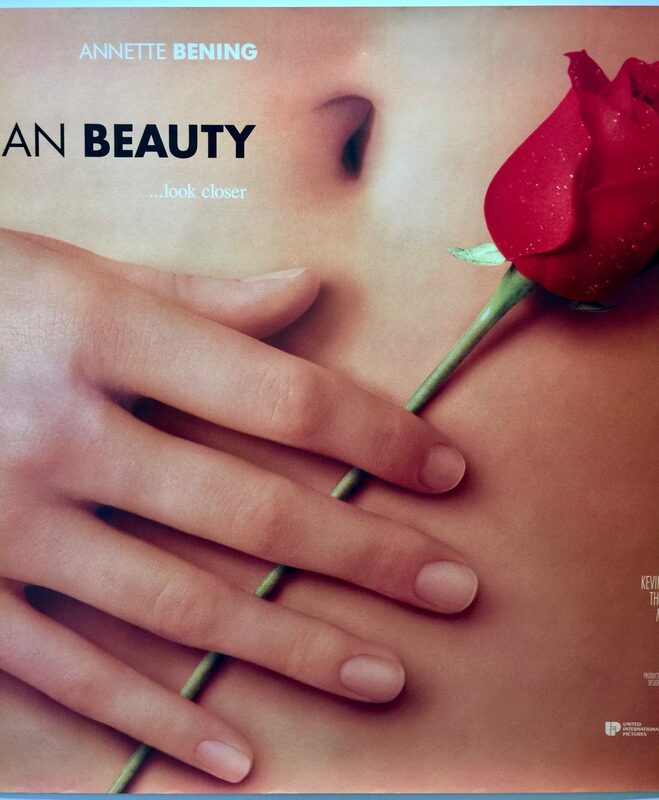 However, he realised the play wouldn’t work on a stage and shelved it but after several years whilst working as a television screenwriter, Alan Ball, revived the idea behind American Beauty in 1997 when attempting to break into the film industry. The modified screenplay took a cynical outlook, influenced by his frustrating tenures whilst writing for several sitcoms. 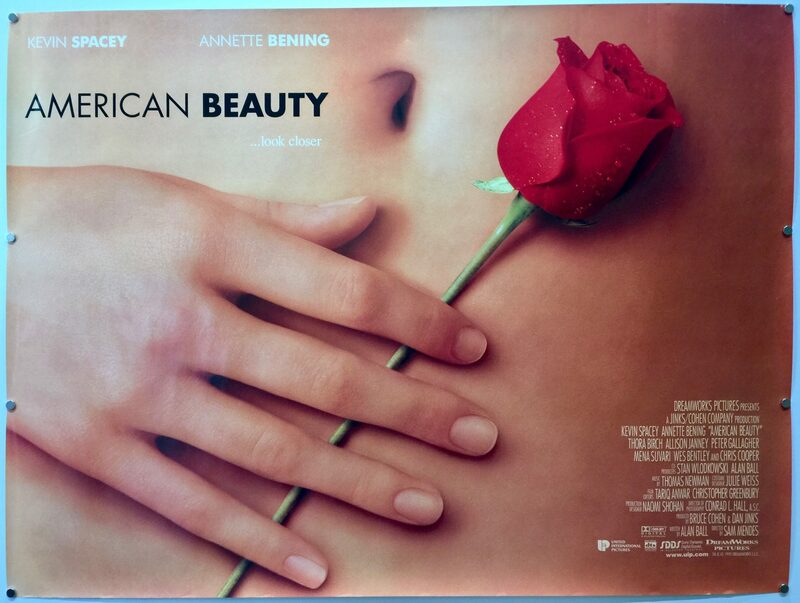 American Beauty was Sam Mendes film director debut film, previously working as a stage director where he was highly regarded following his successful productions of the musicals Oliver! and Cabaret. However, he was only given the directors job after 20 others were considered and several ‘A-list’ directors had turned down the film. Sam Mendes knew who he wants to play the main characters of Lester and Carolyn. He chose Kevin Spacey to play the role of Lester and was urged by the production company to consider better-known actors for the role; similarly, they also suggested several actors for the role of Carolyn but Sam Mendes offered the role to Annette Bening without the production companies knowledge. The style used by Sam Mendes was deliberate and composed; he made extensive use of static shots, slow pans and zooms to generate tension. Conrad Hall complimented Sam Mendes’ style with peaceful composition shots to contrast with the turbulent on-screen events. During editing, Sam Mendes made several changes that gave the film a less cynical tone than the script. 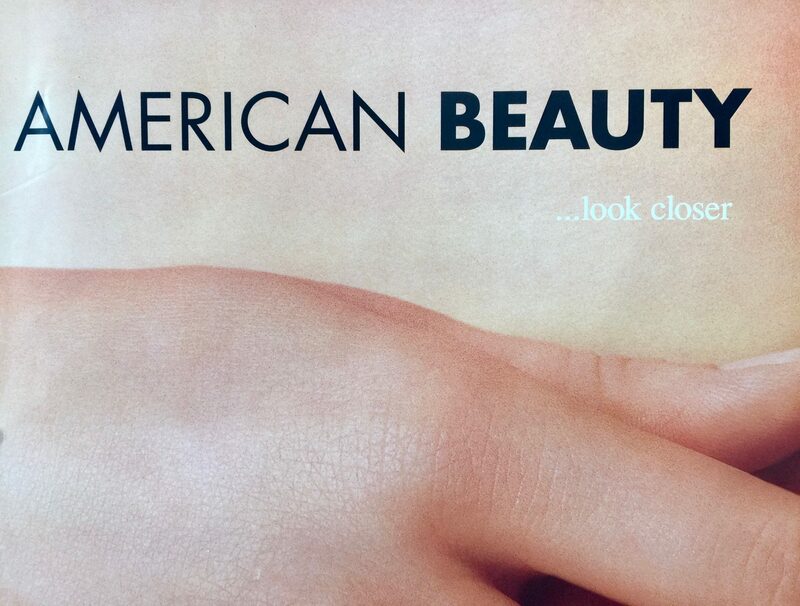 The tagline used in the American Beauty promotional material, ‘look closer’ originally came from a cutting pasted on Lester’s workplace cubicle by the set dresser. Filming for American Beauty took place on exterior sets erected at Warner Bros. in Burbank, California and at Hancock Park and Brentwood in Los Angeles. The aerial shots from the beginning of the film were captured in Sacramento, California and many of the school scenes were shot at South High School in Torrance, California. 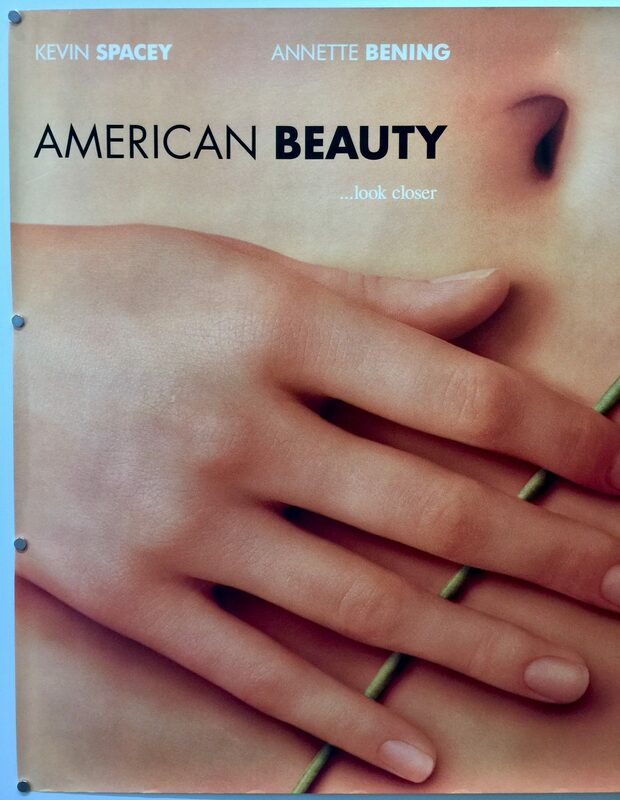 When American Beauty was released it received positive critical acclaim and widely considered to be the best film release of 1999. 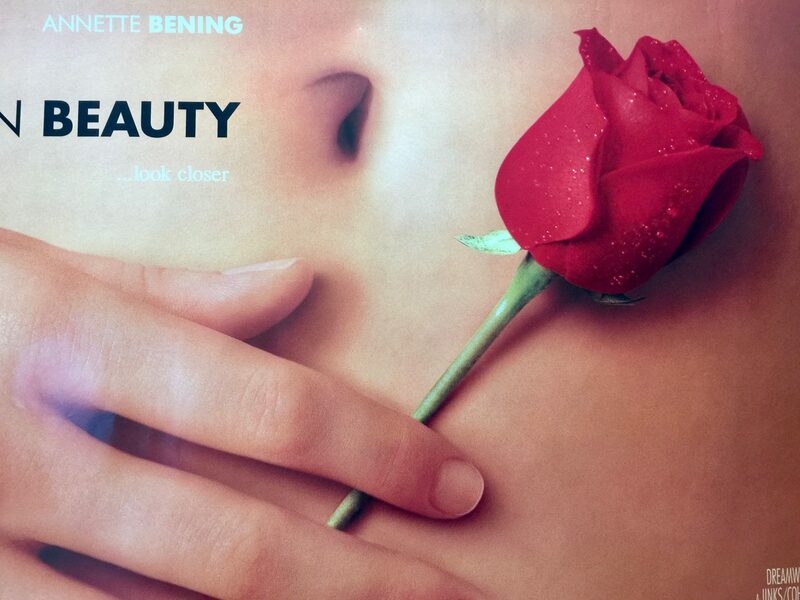 It holds a rating of 88% on Rotten Tomatoes with the critical consensus saying “Flawlessly cast and brimming with dark, acid wit, American Beauty is a smart, provocative high point of late ’90s mainstream Hollywood film”. Roger Ebert of the Chicago Sun-Times singled Spacey out for successfully portraying a man who “does reckless and foolish things [but who] doesn’t deceive himself”. Variety reported that “no other 1999 movie has benefited from such universal raves”. Janet Maslin in The New York Times said Spacey was at his “wittiest and most agile” to date. She felt that Mendes directed with “terrific visual flair”, saying his minimalist style balanced “the mordant and bright” and that he evoked the “delicate, eroticised power-playing vignettes” of his heater work. 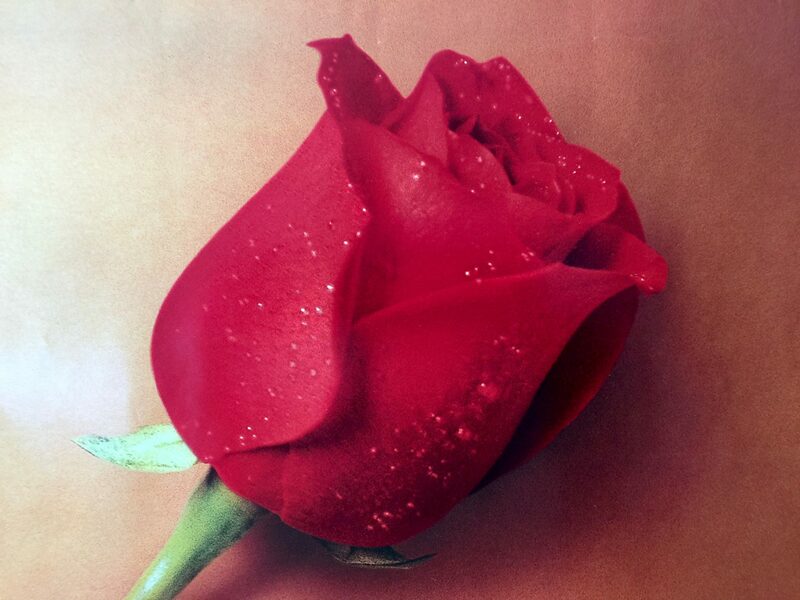 American Beauty is described by academics as a satire of American middle-class notions of beauty and personal satisfaction; analysis has focused on the film’s explorations of romantic, and paternal love, sexuality, beauty, materialism, self-liberation and redemption. 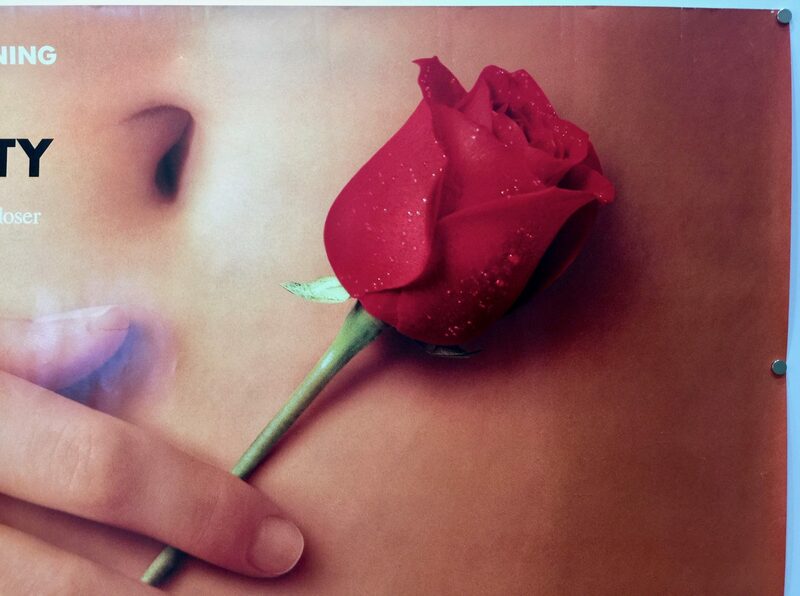 American Beauty was a huge commercially successful film. Produced on an estimated production budget of $15m, it took $5,939,646 in its opening weekend in US box office takings. It went on to take $356,296,601 in gross worldwide box office receipts. 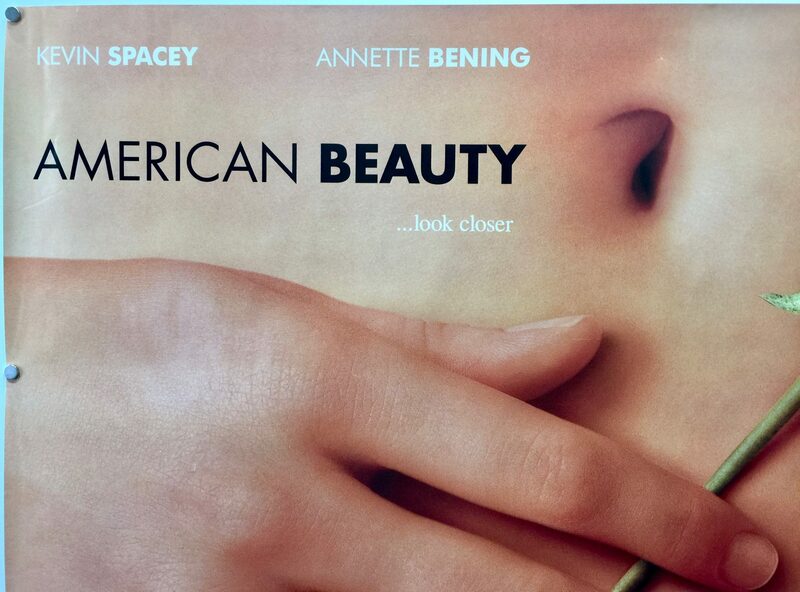 At the Academy Awards in 2000, American Beauty was nominated for 8 awards and won 5. At the Golden Globes, it was nominated for 6 awards and won 3. At the BAFTAs it was nominated for 12 awards and won 6, in addition, Thomas Newman won Anthony Asquith Award for Film Music and Sam Mendes was nominated for David Lean Award for Direction.